Breaking news: High Court Rules Appointment of 290 IEBC Returning officers termed illegal. - Bana Kenya News, Real African Network Tubanane. Home featured News Breaking news: High Court Rules Appointment of 290 IEBC Returning officers termed illegal. Breaking news: High Court Rules Appointment of 290 IEBC Returning officers termed illegal. The high court has slammed IEBC for appointing Return Officers without following the due process saying it was illegal. The Court has given a ruling that the process of appointing Returning Officers to be repeated according to the Constitution. The Standards the Constitution requires for any electoral returning officers to meet the credibility standards set. The Returning Officers standards were not met and the IEBC through the Chairman Wafula Chebukati has been ordered to revoke the list of returning officers gazetted and re-appoint according to the law. The Ruling just comes a day before the Elections. 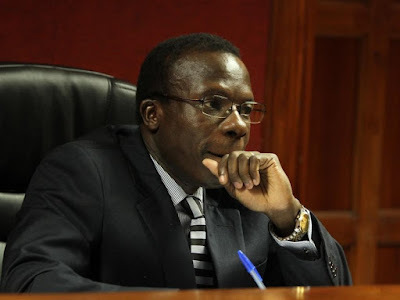 The high court has ordered the repeat of the returning officers as to inline with the Constitution as ruled by the Supreme which nullified the August polls. The case was filed by a group of Human rights activists in Mombasa. The case was later transferred to Nairobi, Milimani Court. The list of the returning officers was to be subjected to the political parties for scrutinization before the appointment of the same. The IEBC did not approach even one political party and the ROs are holding the offices illegally. "The Constitution needs to be respected and adhered too. We are Judges who follow the same constitution and all independent bodies must follow the same. The Supreme court nullified the Elections because they found out that it was conducted illegal according to the rule of laws." Said High Court Judge Justice George Odunga.